I know it’s important… I do, I honestly do. But we talkin’ about practice, man. What are we talkin’ about? Practice? Bordered by the Pacific Ocean and contiguous with both Muir Woods and Mt. Tamalpais State Park, the GGNRA boasts the finest network of running trails and stunning views in the Bay Area. As such I could easily have pulled any five of them for this list, but instead decided to focus on my favorite, the Marincello Trail. Beginning by the Miwok Livery Stables at Tennessee Valley, the well-maintained Marincello is right in the heart of the action here, as it stands at the nexus of several other popular running trails. Professionally organized races in the GGNRA often include the Marincello for its uphill challenge and for the simple fact that its strategic positioning makes it difficult to avoid. Among them is one of my favorite Bay Area racing events, The North Face Endurance Challenge Championship. 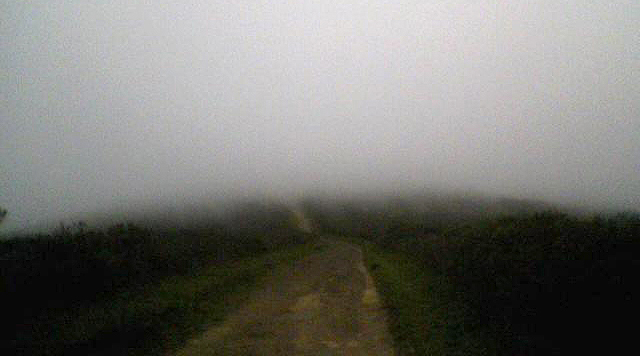 Thanks to the coastal fog, sometimes there’s nothing to see on the GGNRA trails but your next step. The Marincello demands a steady and dogged persistence, which doesn’t seem to deter the other runners, cyclists and even deer that I often meet on the way up. During long training runs or races in the GGNRA, the Marincello’s challenge is amplified by the physical and mental energy expended in switching back to an uphill mindset after coasting downhill for several minutes. However, being on the Marincello always seems to put me in a good mood. And the panoramic aerial vistas of Marin City and Richardson Bay that greet me at the top don’t hurt that mood one bit. Presumably named because it separates the upper and lower fire trails, the Separator’s name might just as easily derive from the fact that it separates the men from the boys, the women from the girls, and the champs from the chumps. Okay so maybe that’s some false machismo, but anyone who’s run it will tell you the Separator deserves its rightful spot on this list, despite being only a tenth of a mile long. Footing on this usually dusty hill always seems difficult, and two “speed bumps” along the way add to its swagger and help you gauge your progress without having to look up from your shoetops. Occasionally I’ll run repeats on the Separator as a training workout, and though this might seem counterintuitive, I find that the initial ascent is always more strenuous than the next few repeats. I now use this understanding that “the first is the worst” to make Separator repeats more palatable, though of course this philosophy breaks down after about 5 repeats. Ten is my current PR for continuous repeats without stopping… after hitting double-digits I decided not to further provoke the low-level, Separator-induced ache that threatened to spread through my groin and abdomen. The “Separator” also separates sedentary types from this dramatic vista of the Berkeley campus & marina. The Live Oak/Towhee Trail flexes its muscle as the wickedest section of the trail system that circumnavigates Lake Chabot. It was also responsible for the quote – whooped out cheerily by a fellow runner during last year’s Brazen Bad Bass half marathon – that introduces my previous blog post. For some reason I always seem to forgot how hilly the Lake Chabot course can be (denial? ), and the Live Oak/Towhee Trail is always there to offer a graphic reminder. On the plus side the trail is shaded… but it is steep and it is dusty, and if you subscribe to schadenfreude I’d suggest running it as part of a race. Then at least you’ll be able to take some solace in the fact that your misery has plenty of company. Don’t believe me? Feel free to get a second opinion… I’d recommend Jen’s recent experience at the Lake Chabot Trail Challenge. What more can I say that I haven’t already expounded on here? Mount Diablo is the all-terrain, sun-scorched, rattlesnake-strewn crown jewel of the East Bay running scene. Pick a trail, any trail in the park – Miwok, Highland Ridge, Oyster Point, Stage Road – and some section of it will likely require that you dig in your heels and grind up a steep ascent. Between punishing hills and seemingly year-round heat, Diablo is the local trail running equivalent of Bane, Batman’s nemesis in “The Dark Knight Rises”: you may eventually come out on top, but along the way it may just break your back. Okay, so I couldn’t help myself… I had to include one more trail in the Marin Headlands, especially one with a name that promises (and delivers) so much. Many detailed descriptions of the Coastal Trail can be found online, accompanied by eye-popping photographs. In fact, if you’re unable to take a picturesque photo from the Coastal Trail in less than two tries, you probably shouldn’t be using a camera. Actually, I didn’t write this post just so I could use this photo, taken during a run in the Marin Headlands. According to signs posted along the trail, the Coastal Trail extends from the Marin Headlands all the way to the Oregon border; unfortunately, I can only speak to (and recommend) the approximately 8-mile stretch running from Rodeo Beach to Tennessee Valley to Muir Beach. Here the route consists of a well-maintained dirt trail featuring at least two steep and sustained (longer than half a mile) uphill climbs, coupled with those same eye-popping views of the West-est Coast in the continental U.S. On a clear day I like to convince myself I can see the Farallon Islands 27 miles to the west, a favorite sanctuary for great white sharks who during the autumn months come to dine at their favorite all-you-can-eat sea lion and elephant seal buffet. One final note: I’ve also run the “Woodmonster” in Joaquin Miller Park in Oakland, and I’ve gotta admit I was unimpressed. True, I’d prefer not to cross paths with this hill during a race, as it could definitely throw a wrench in your pacing plans. But with several directional changes (it spans three or four short-lived trails) and some larger rocks to clamber over, the Woodmonster is more suited to deliberate hiking than fleet-footed trail running. Overall, though, Joaquin Miller itself is lush and woodsy – the redwoods that line the trails, though not as majestic as those in Muir Woods, are nonetheless grand, and the park scores extra points for being an oasis of solitude in the middle of the urban East Bay. It’s an amazing dichotomy, the sense of feeling like you’re this far out in the sticks without ever leaving Oakland. Together with its adjacent sister park Redwood Regional, Joaquin Miller offers miles of highly recommended running trails and plenty of open space in which to lose yourself. Did I mention the Bay Area is a pretty decent place to live and train? Maybe this isn’t such an absurd logo for the city of Oakland after all. Of course, I’m always on the hunt for new hills to run – both road and trail – in the East Bay and beyond. I have my eye on a few candidates, but your questions, comments, suggestions and feedback are always appreciated.